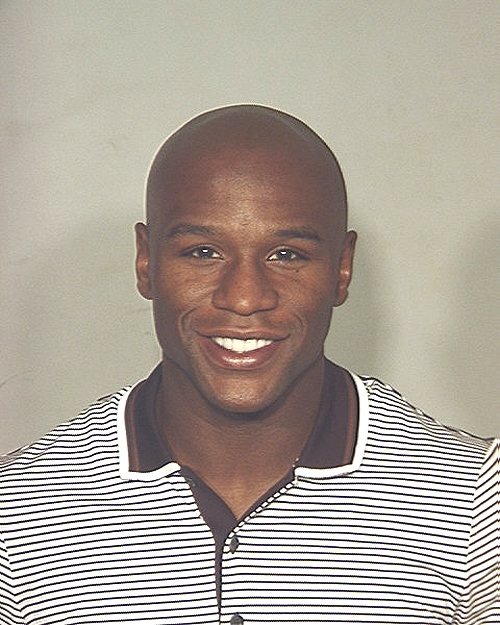 Boxer Floyd Mayweather was arrested by Las Vegas police in September 2010 and charged with grand larceny. The 33-year-old Mayweather, also known as “Money,” was accused by his ex-girlfriend (and the mother of three of his children) of stealing her iPhone. The undefeated fighter was booked into the Clark County jail and held on $3000 bail. Submitted by midnightrider on Mon, 2011-02-28 23:39. Submitted by Mrs Potts on Wed, 2010-09-15 08:22. Submitted by cnewhall on Fri, 2010-10-08 19:43. Undefeated fighter? Lets see you say that to his face.